Here are some of the great volunteering opportunities currently available in the Brighton/Sussex area! Don’t underestimate the value of extra curricular activities on your CV – THEY ARE JUST AS IMPORTANT AS YOUR ACADEMICS. As a student you will never have more free time than you do now so take advantage of it! In addition to this, Active Student is the University’s official volunteering service. It can provide you with vetted volunteering placements in the local community that are rewarding, safe and supported! Whether you’re in your last year of university or your first, you can develop your employability skills, add to your CV, and make new connections. 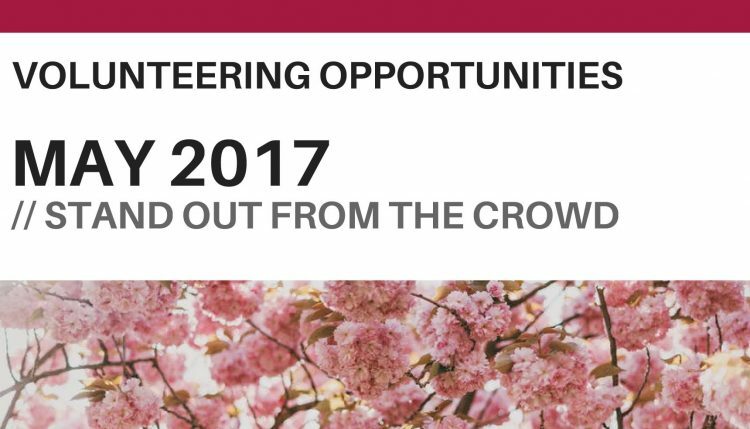 For information on volunteering opportunities provided by the University, and how to register, follow this link. Good luck on your applications – more opportunities coming next month!